Chikka and Sharma, who shared the overnight three-shot lead, ended regulation play tied on 25-under 263 after posting identical final rounds of six-under 66s at the Eagle-The Golf Village. The duo returned to the par-four 18th hole for the play-off battle where Chikka outplayed Sharma with a birdie against a par to claim his second Asian Development Tour (ADT) title at the USD 120,000 event. Abhijit Chadha, also of India, returned with a stunning 62 to take third place on 269 while countryman Rashid Khan and American Greg Moss settled one shot back in fourth following matching rounds of 67s. Chikka, who fired seven birdies against a lone bogey, played consistently to stay in control for most of the round and kept his cool even when Sharma surmounted a late charge to force a play-off. "I haven't really performed well this season. This win came at the right time and I am confident this will be a sign of better things to come. There were a lot of expectations from me this week, especially from family and friends. I'm glad I didn't disappoint them," said the 22-year-old Chikka. "I wasn't really nervous out there. I just played my own game. I have been in this kind of situation before so I knew how to handle it. I guess my past experience helped. This win definitely boosted my confidence and I'm looking forward to better results at the Panasonic Open India on the Asian Tour next week," he added. Chikka will take home a winner's prize cheque of USD 21,000 and receive six Official World Golf Ranking (OWGR) points courtesy of his win. Despite missing out on a grandstand finish, Sharma took pride in what was his best result on the ADT and a record personal best 72-hole score. "I kept calm out there. I played really well on the back nine and finished with four straight birdies to force extra time with Chikka. I knew I had a chance coming to the last two holes. It was a pity to miss out on the birdie putt in the play-off. 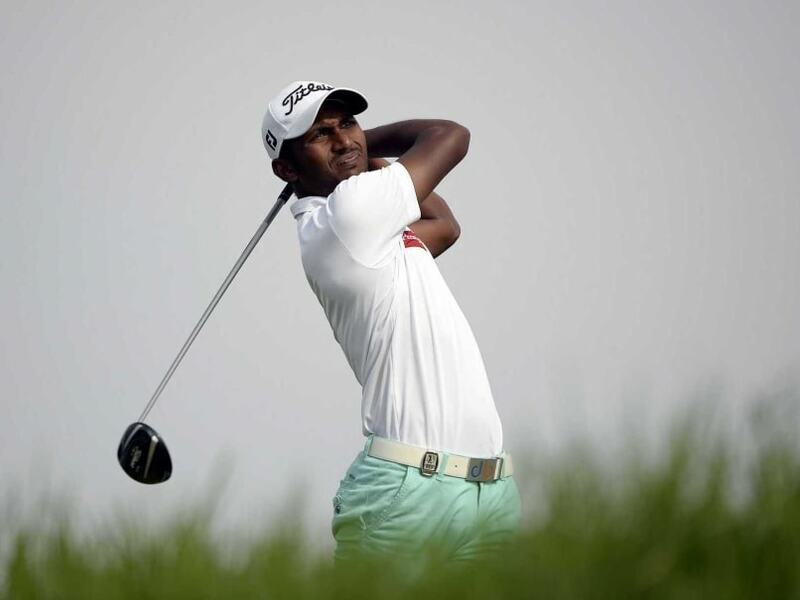 I hit two good shots but I guess I just didn't trust the putt," said Sharma. "Overall, it was still a great experience. I am happy with the way I played all week. This is my best result on the ADT. I didn't expect myself to finish with a 25-under total so it was great," added the 19-year-old.